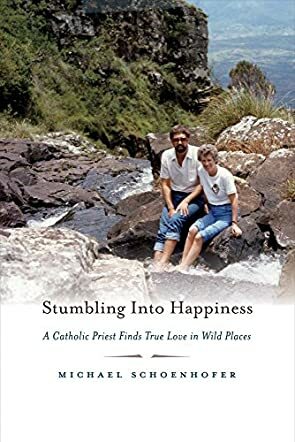 Stumbling into Happiness: A Catholic Priest finds true love in wild places is a short and delightful memoir by author Michael Schoenhofer, which focuses on the unusual but ultimately right path that God has for His followers. The story follows our author as a young priest, travelling from Ohio to work at a mission in Zimbabwe, but Mike soon discovers there’s actually no mission there yet. Leading a team to build one amid the culture of the Tonga people is a tall order for someone so new to the missionary life, but Mike sets about the task with faith and determination. It is here that he meets a young nun named Mary, and questions of his Catholic faith and his vow as a priest threaten to unravel him. Ultimately, Stumbling into Happiness tells a marvelous tale of a reinterpretation of faith and what it means to trust in God’s path for you. Michael is candid and delightfully honest in his recollection of the many struggles and dilemmas he faced during this early and formative part of his life, and he paints Mary in beautiful words which are also heartfelt and real. I particularly enjoyed hearing the cross-cultural experience of a young man being quite literally thrown into a whole new world. Michael Schoenhofer’s writing leaps off the page with enthusiasm and candor and, despite being a tale of faith and love, always felt friendly rather than preachy. I think that anyone searching for a feel-good true to life story will delight in Stumbling into Happiness. A joyful read.